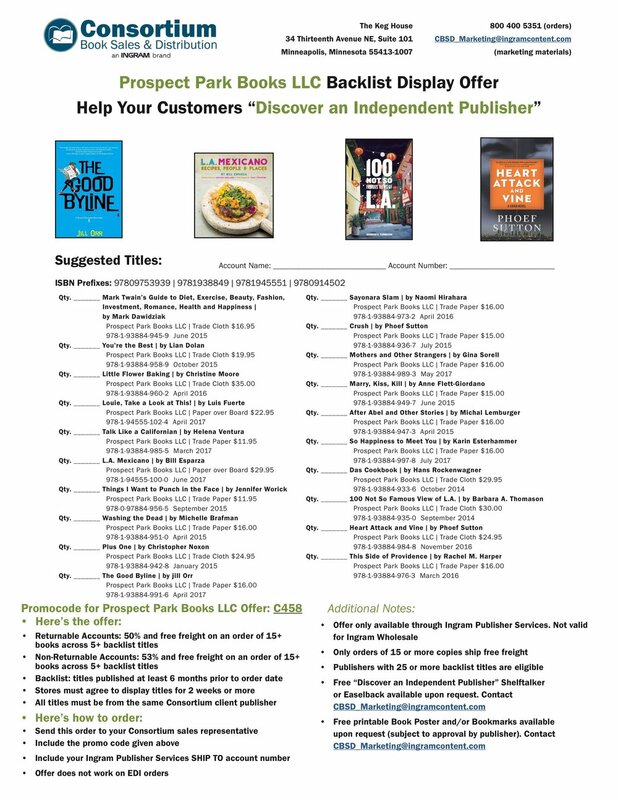 Starting with the Spring 2018 season, CBSD is launching an ongoing backlist display offer to Independent Bookstores designed to showcase specific CBSD publishers. 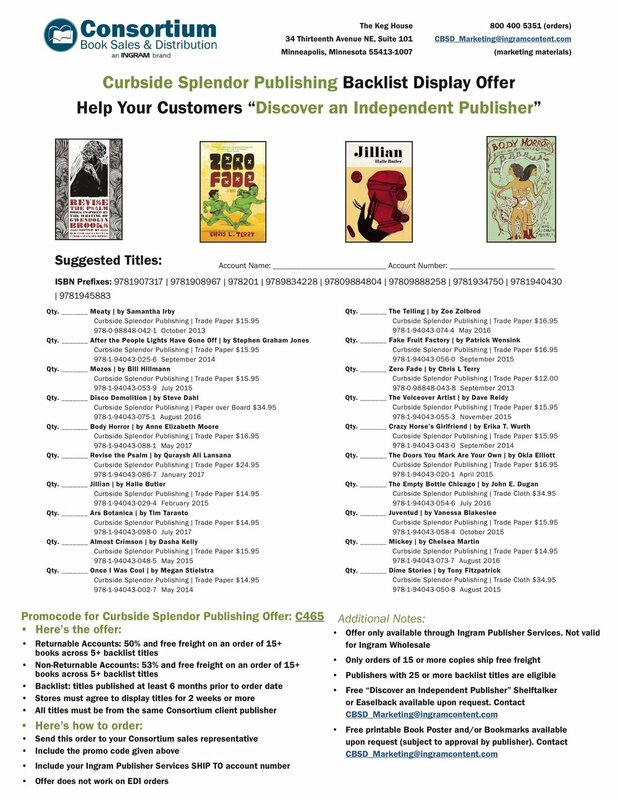 In return for additional discount on a 15 minimum copy order across 5 or more backlist titles from the same publisher and free signage, participating indie bookstore agrees to display ordered titles for two weeks or more in their store. 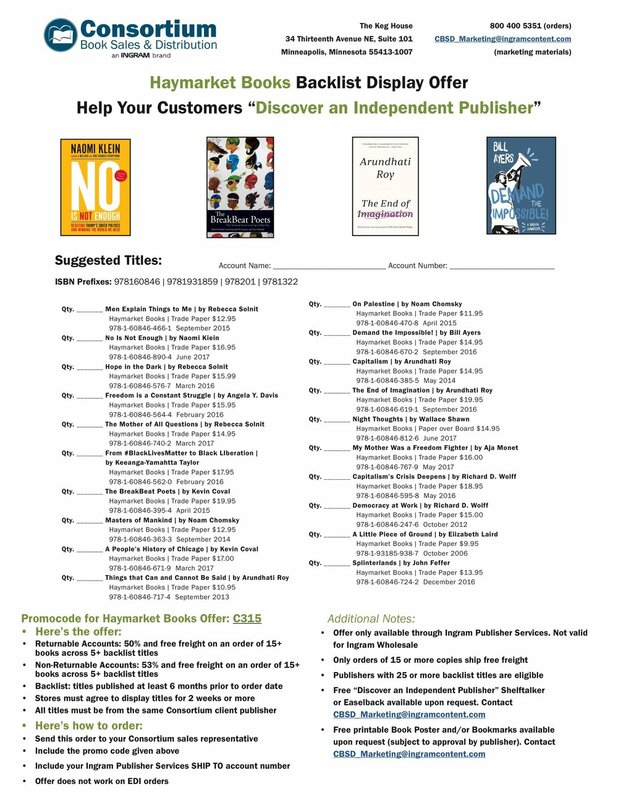 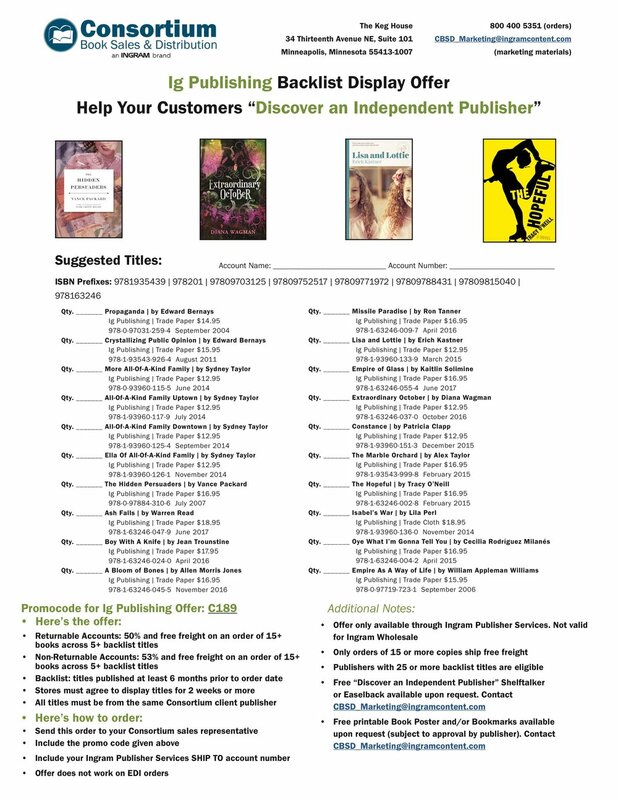 Each participating publisher's details, specific promo codes, and a starting point of suggested backlist titles are listed on their sell sheets below. 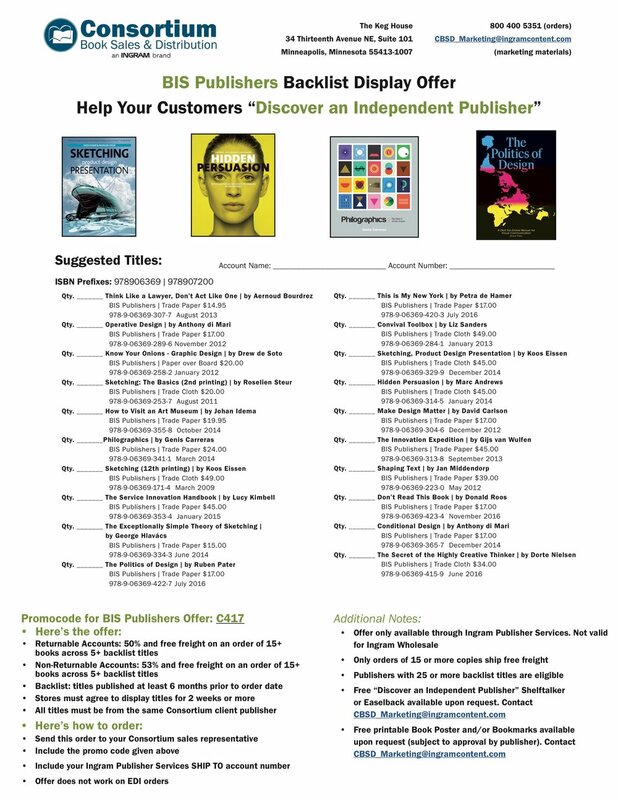 Click any thumbnail below to download the PDF. 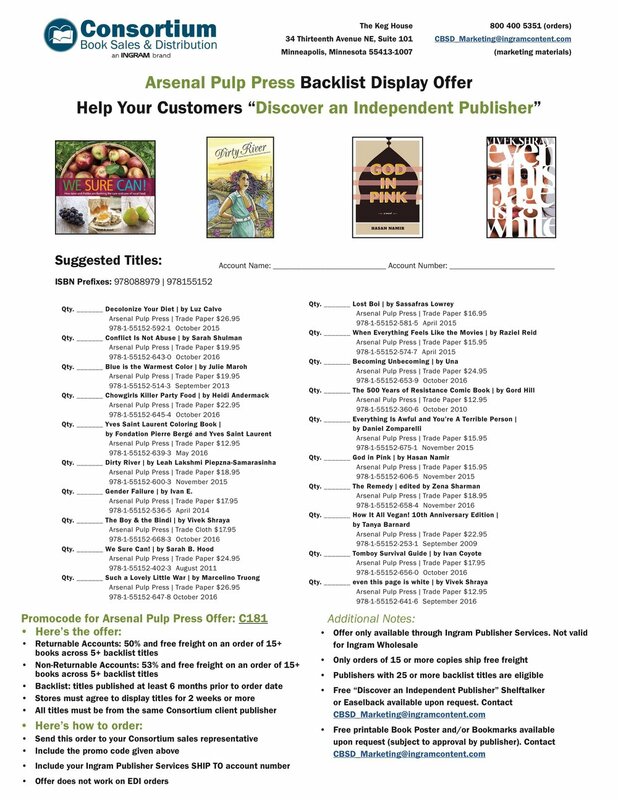 This might go without saying, but there is no limit to the number of CBSD indie publisher displays you can make! 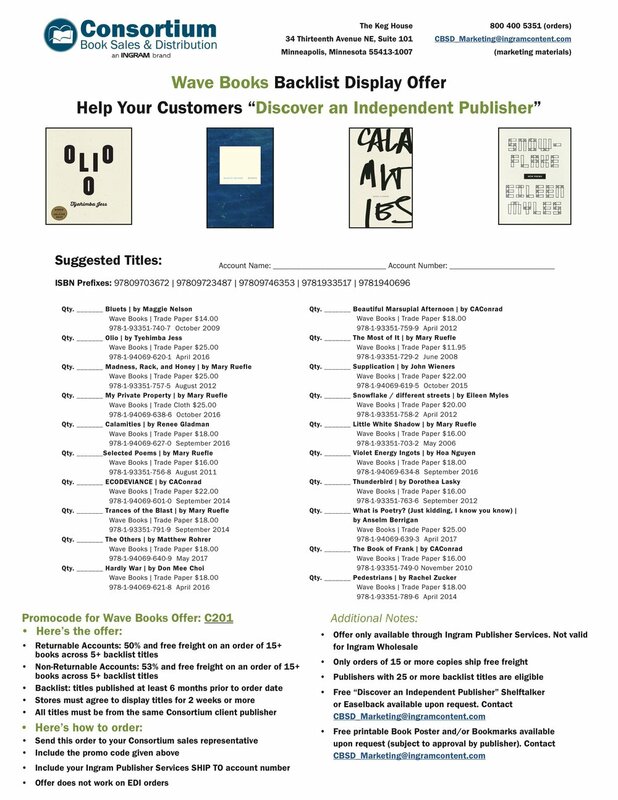 If you have any questions about the offers, or placing orders, or implementing your displays, check in with your Abraham Associates sales rep!